How is it August? I would have forgotten that it was August, except that our August is so busy that I can’t seem to forget it’s August. This month we are heading on 2 vacations, plus getting ready for back to school. Our first trip starts this week with a visit to Universal Orlando as a part of a blogging retreat called Family Forward. We will be meeting up with friends and I’ll be sharing our adventures on social media (mostly Twitter and Instagram if you want to follow along). Then at the end of the month, we are headed to Smugglers Notch in Vermont for a family vacation unlike any we’ve taken before. New state, new experience, no cartoon characters. I can’t wait. 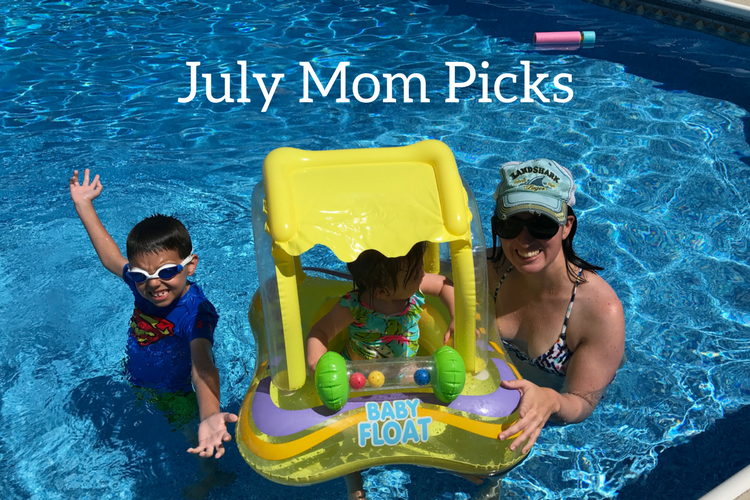 So before I jump head-on into August here are my July Mom picks. 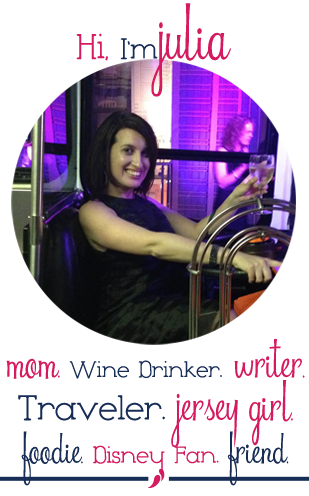 Locally if you are looking for a way to spend a fun day call Island Hopper, and hop to all the wineries, distillery’s and breweries in Cape May (or Atlantic) county. A friend and I used did this to celebrate our birthday month and it was awesome. I’ve been living in this shirt, these leggings, this tank and this just about every day. They’re perfect for working from home and I can’t wait to wear them in the fall. I’m still on a rose all day kick. This Rosado is pretty fabulous. If your summer is winding down you might relate to this post. I’m mostly in denial that summer will end. My brother gets married the weekend after Labor Day and I’m still without a dress. I posted on Facebook looking for your thoughts on dresses and I’ve narrowed it down to this one and this one. Hoping one works for the rehearsal dinner and one works for the wedding, fingers crossed. September will be here before we know it and I love pumpkin spice probably more than most people but excuse me if I spend the last few weeks of this month soaking in every last bit of summer. Make sure to follow our adventures at Universal Orlando this week, on twitter and Instagram.